Hunter Miska leads the team out and onto SAP Center's ice for warm-ups. Coming into the night with a 6-1-0 record, he's making his ninth start of the season. Adam Clendening is playing in his 300th professional game. There have been no apparent changes made to the lines the team used in Tuesday night's 5-2 victory over Ontario. 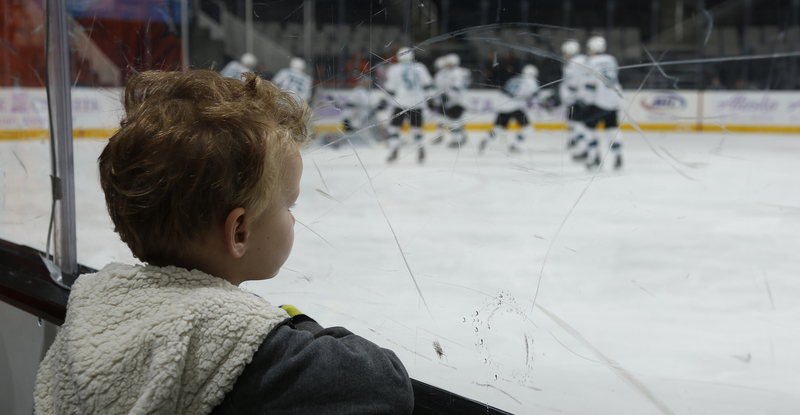 Hunter Miska turns away all 13 of San Jose's first period shots, including a pair of Grade-A chances. Michael Bunting, with just under two minutes left in the frame, hounds a broken play in front of San Jose's net and buries his fifth goal of the season to give the Roadrunners a 1-0 lead. He's got points in three straight games, and five (2G, 3A) in the team's last five. 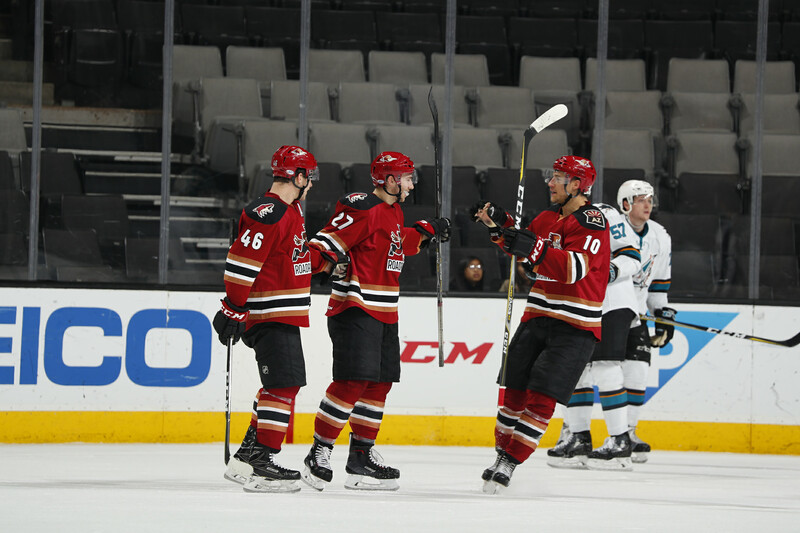 The Roadrunners take five penalties during the second period, and are able to kill off four of them, including a full two-minute five-on-three situation. 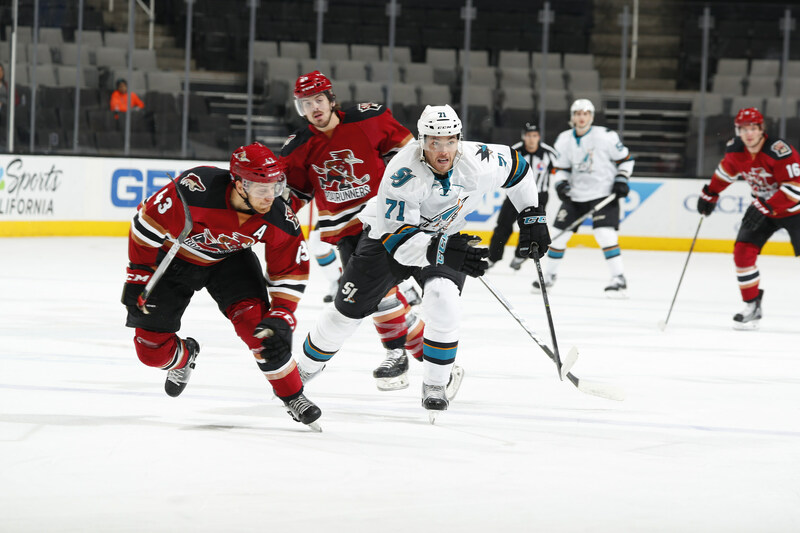 San Jose outshoots Tucson by a 16-7 margin. 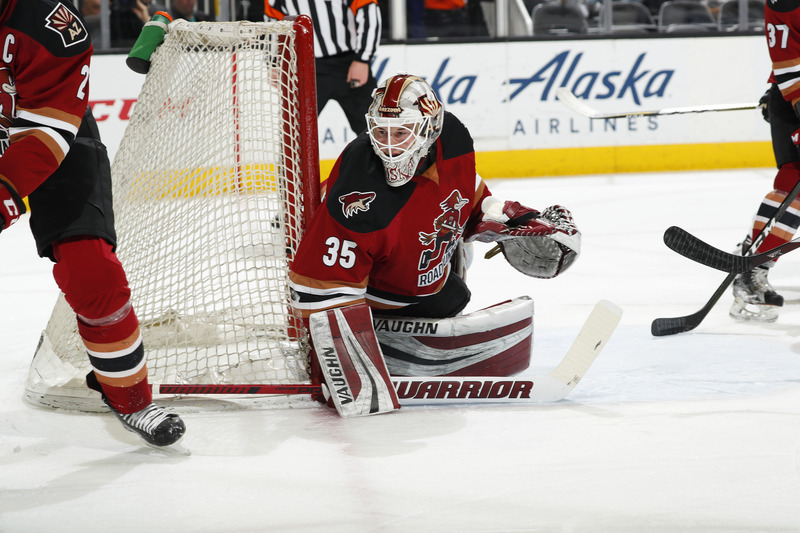 Hunter Miska has been magnificent - his 15 saves in the second period is the most by any goaltender against the Barracuda in a single period this season. Lawson Crouse can't execute on a shorthanded breakaway late in the frame. With under two minutes left to play in regulation, Mike Sislo jams a loose rebound home for his seventh goal of the season, giving the Roadrunners a 2-1 lead with 1:34 left to play. Seconds later, Michael Bunting, left alone, utilizes time and space to give the Roadrunners a 3-1 lead with 1:03 left to play. Michael Bunting buries his fifth goal of the season to give the Roadrunners a 1-0 lead late in the first period. Mike Sislo jams home a loose puck in the crease to give the Roadrunners a 2-1 lead with 1:34 left to play. Michael Bunting, with plenty of time and space, buries his second goal of the evening to give the Roadrunners a 3-1 lead with 1:03 left to play in regulation.